When The Flash debuted in 2014, fans were pumped that the CW drama was calling back to DC’s live-action past by bringing in actor John Wesley Shipp, who originally played The Flash in the 1990 series, to play Barry Allen’s dad, not to mention getting Mark Hamill to reprise his role as the villainous Trickster. Over on CBS, Supergirl has similarly looked back to other DC series every so often in casting characters for Season 1, and the show’s latest blast from the past is the best idea yet, as former Wonder Woman star Lynda Carter is being tapped for an extremely significant role. The surprising reveal was put forth by executive producers Greg Berlanti and Andrew Kreisberg during a recent screening of the upcoming crossover episode with The Flash, and while nothing is set in stone just yet, the duo are very certain it will happen. Here’s how they put it, along with what part Lynda Carter would take on. 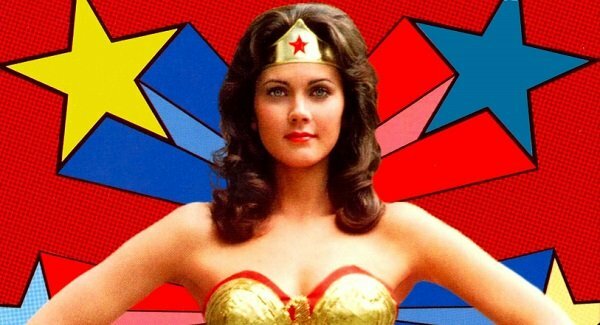 Berlanti: We had the perfect role for Lynda Carter. We couldn’t work out her schedule. Next year. Kreisberg: We’re going to do it, we’ll just do it next year. Berlanti: All right, she’s the female President of the United States. What the what? Can you even campaign for POTUS when you’re an Amazonian princess? Is Air Force One going to be invisible? Will they cast Adam West to be her Vice President? So many questions! Apparently no other facts about Lynda Carter’s potential appearance were discussed, according to EW. But that’s okay, since we don’t mind using our imagination to contemplate how grand this country would be if Wonder Woman ran it. Okay, so she’s not going to be playing Wonder Woman as the president, but we’ll know what’s really going on. All kinds of people on Supergirl have hidden identities, so you can’t tell me that the President is going to just be a run of the mill human being. Back in the early 1970s, Lynda Carter was crowned Miss World USA and used that recognition to jump to acting, landing the career-defining Wonder Woman just two years later. As Diana Prince, Carter brandished her iconic bracelets and golden lasso while taking down bad guys for three seasons. While the show is fondly remembered, Wonder Woman faced a lot of trouble at the time, such as a push to drop anything resembling violence, as well as a shift in time and setting from one season to the next, with the third season geared towards a younger audience, because nothing is cooler than a superhero who can skateboard. Carter is the latest in a good-sized line of former DC stars to visit Supergirl. Helen Slater, who played Supergirl in the 1984 film as well as Lara-El in Smallville, plays Kara’s foster mom Eliza. Eliza’s husband Jeremiah (who recently appeared again) is played by Dean Cain, who starred as the Man of Steel in Lois & Clark in the 1990s. As well, Smallville’s Supergirl Laura Vandervoort appeared on the show fairly recently as the comic character Indigo. While we might have to wait until Season 2 to see Lynda Carter in the (parallel) world of Supergirl, we’re sure it’ll be worth the wait. In the meantime, you can watch the Girl of Steel on CBS every Monday night, and the next episode is where Barry Allen visits.